This genus is accepted, and is native to Asia-Tropical, Africa, Southern America, Northern America, Australasia and Asia-Temperate.. The present circumscription of Dalbergieae sens. lat. contains radical changes to Dalbergieae sensu Polhill (1981d: 233–242). In the first instance it takes a traditional view of the tribe by including genera such as Vatairea and Vataireopsis (now in the Vataireoid clade, see Figs. 1& 40) and Andira and Hymenolobium, which in Wojciechowski et al. (2004) are sister to the combined Dalbergioid clade of Lavin et al. (2001a), plus Amorpheae. The bulk of the treatment, however, recognises the cryptic Dalbergioid clade (Lavin et al., 2001a) as comprising tribe Dalbergieae sens. lat., diagnosed by the synapomorphy of aeschynomenoid root nodules. This clade includes all the genera placed in the Dalbergieae sensu Polhill (1981d: 233– 242), the Aeschynomeneae sensu Rudd (1981) and the Adesmieae sensu Polhill (1981g: 355–356), plus subtribe Bryinae of the Desmodieae sensu Ohashi et al. (1981) as well as the genus Diphysa (tribe Robinieae sensu Polhill & Sousa (1981)).The placements of all members of the Dalbergioid clade within the classification presented here and in those of Polhill (1981d: 233–242; 1981g: 355–356), Polhill & Sousa (1981), Ohashi et al. (1981) and Rudd (1981) are listed in Fig. 40. Dalbergieae sensu Polhill (1981d) contained 19 genera defined by woody habit, supposedly plesiomorphic flowers, pods with a specialised seed chamber and seeds that accumulated alkaloids. Polhill (1981d) noted that there seemed to be two centres within the Dalbergieae: one around Andira with Hymenolobium, Vatairea, Vataireopsis, Dalbergia, and Machaerium, and one around Pterocarpus. He also highlighted evidence from wood anatomy (Baretta-Kuipers, 1981) which showed that Andira, Hymenolobium, Vatairea, and Vataireopsis have coarser wood structures more typical of members of the Sophoreae than the remaining members of the Dalbergieae. The study of fruit and seedling morphology by Lima (1990) further supported these two centres within the Dalbergieae: one including Andira, Hymenolobium, Vatairea, and Vataireopsis, and the second the remaining genera. Most recently several molecular and morphological studies (e.g., Lavin et al., 2001a; Pennington et al., 2001; Wojciechowski et al., 2004) confirm that these four genera do not belong in the Dalbergioid clade. Since there is, however, still much work to be done to resolve the phylogenetic relationships of these four genera, they have been kept in tribe Dalbergieae sens. lat. in this treatment to avoid tentative placements, which might be treated by users as formal. 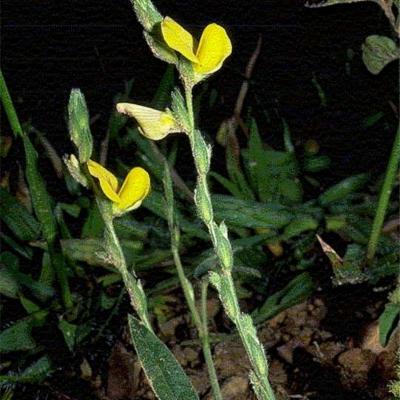 The tribe Aeschynomeneae sensu Rudd (1981) contained 25 genera characterised by lomentaceous pods, although some members lack loments (e.g., Arachis, Ormocarpopsis, Diphysa spp., Ormocarpum spp., and Pictetia spp.). 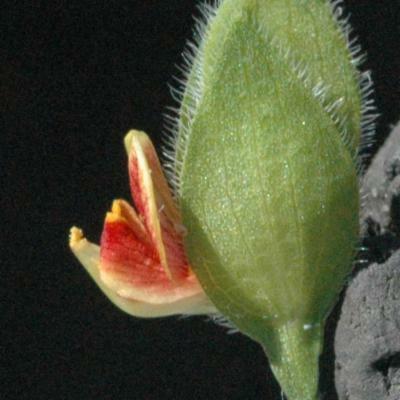 None of the Aeschynomeneae had previously been considered closely related to the Dalbergieae, but the work of Lavin et al. (2001a) has resolved all the ‘aeschynomenoid genera’ within the Dalbergioid clade. The taxonomic history of the monogeneric tribe Adesmieae sensu Polhill (1981g) is very different from that of the Dalbergieae. 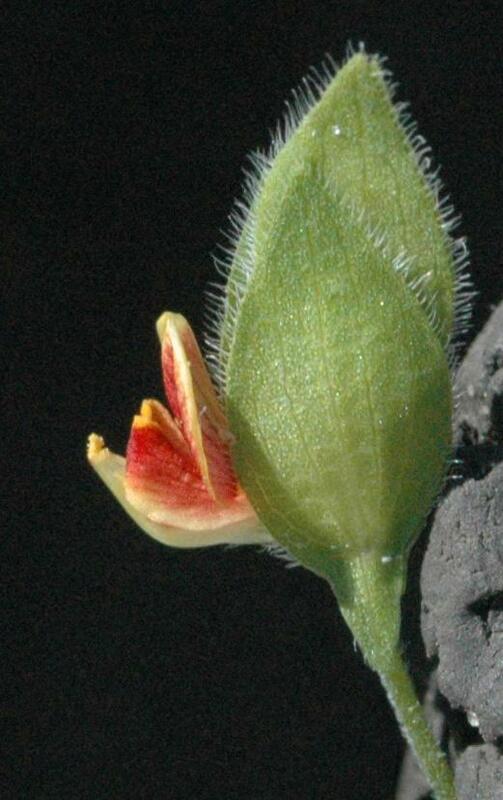 The Adesmieae combines the presumed plesiomorphic trait of free stamen filaments, with presence of lomentaceous pods that are supposedly derived. This combination of features suggested a taxonomically isolated position far removed from the Dalbergieae. The analyses of Lavin et al. 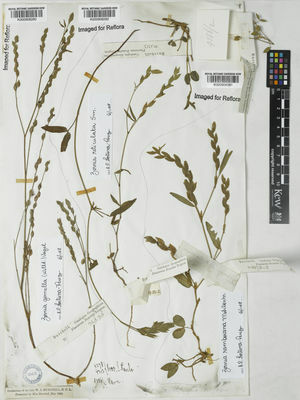 (2001a) based on molecular sequence and morphological data, however, support Adesmia (nested together with five genera of Rudd’s Aeschynomeneae) being sister to the Pterocarpus and Dalbergia clades. 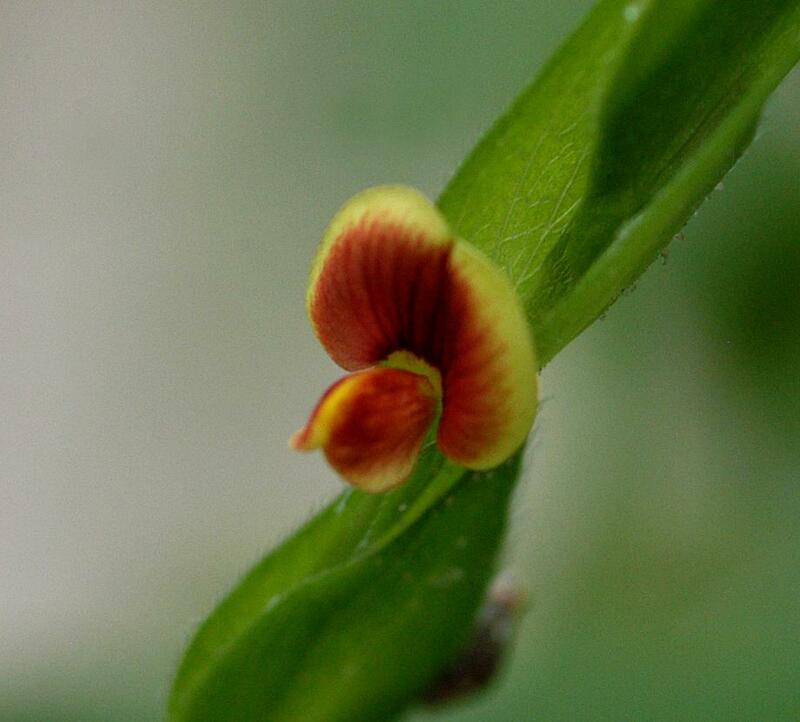 The neotropical genera Brya and Cranocarpus were placed together in a new subtribe Bryinae of Desmodieae in the classification of Ohashi et al. (1981). The features common to these genera are periporate pollen and glochidiate hairs or glandular trichomes. In the molecular studies of Doyle et al. (1995) and Bailey et al. 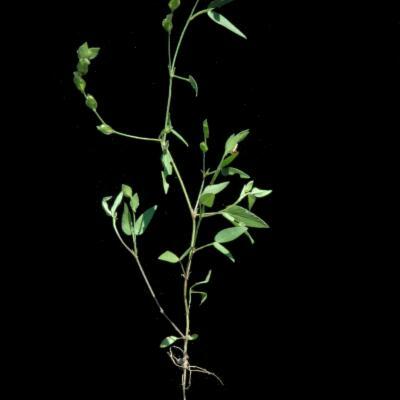 (1997), Brya and Cranocarpus did not lack the intron for the chloroplast gene rpl2 nor for the open reading frame ORF184, which are characteristic of the other desmodioid genera studied. Bailey et al. (1997), therefore, suggested that Brya and Cranocarpus should be removed from the Desmodieae. Their findings were strongly corroborated by the three gene analyses of Lavin et al. (2001a) which place the two genera in the Pterocarpus clade (Fig. 40). One further transfer has been made in the Dalbergioid clade since Rudd (1981) and Polhill & Sousa (1981). 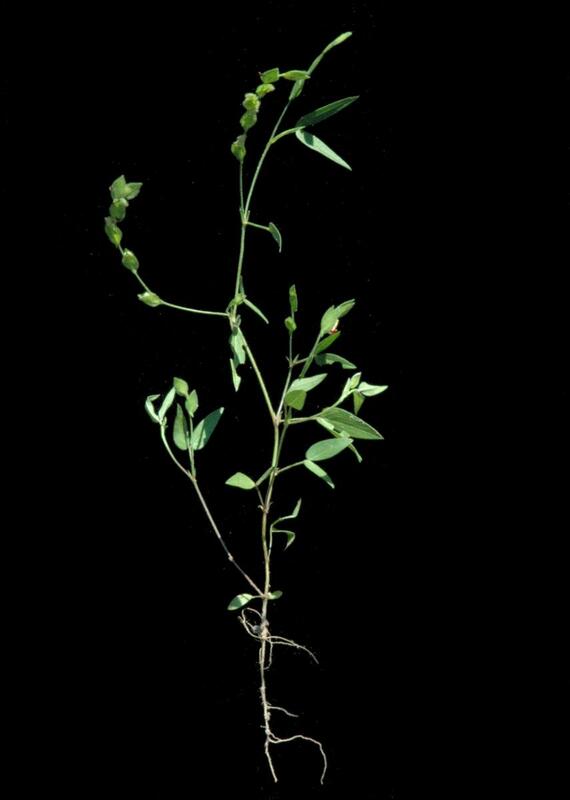 Lavin (1987) transferred Diphysa from the Robinieae to tribe Aeschynomeneae based on the absence of canavanine in the seeds, a feature consistently present in the Robinieae (Lavin, 1986). Lavin (1987) also listed 14 morphological characters that placed Diphysa with the Aeschynomeneae rather than the Robinieae. In the phylogenetic analyses of Lavin et al. (2001a), Diphysa is resolved in the Dalbergioid clade nested within the ‘transatlantic clade’ (Fig. 40), first identified by Lavin et al. (2000). Finally, since 1981 four new genera have been published: the Brazilian monotypic Grazielodendron (Lima, 1983b), the possibly extinct Madagascan endemic Peltiera (Labat & Du Puy, 1997), Zygocarpum, the Horn of Africa – Arabian segregate of Ormocarpum (Thulin & Lavin, 2001) and Maraniona from northern Peru (Hughes et al., 2004). Three genera have also been placed in synonymy since 1981: the Caribbean genus Belairia which is a synonym of Pictetia (Beyra-Matos & Lavin, 1999), and the genera Pachecoa and Arthrocarpum which Thulin (1999) synonymised under Chapmannia. 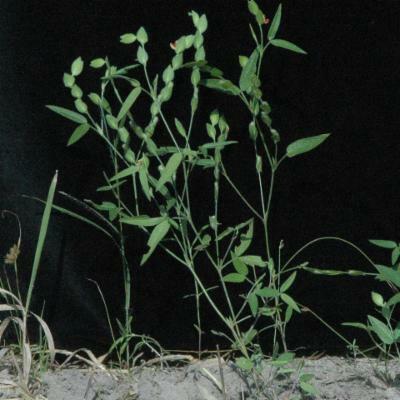 In this treatment 49 genera and (1319) –1325–(1331) species are recognised in Dalbergieae sens. lat. (including 4 basally branching dalbergioid genera comprising c. 58 species, and (1261)–1267– (1273) species in the 45 genera of the Dalbergioid clade [Lavin et al., 2001a]).The following informal groupings of genera are based on the work of Lavin et al. (2001a): Adesmia clade: 6 genera; c. 360 species; neotropical except Zornia, which is pantropical. 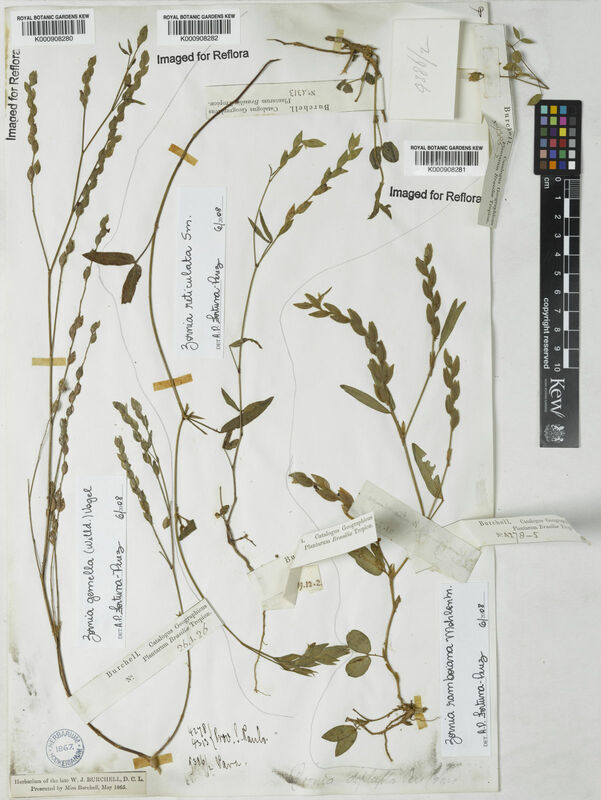 Pterocarpus clade: 22 genera; c. 200 species centred in the Neotropics, Pterocarpus and Stylosanthes are pantropical, Inocarpus Asian, and Chapmannia transatlantic.Dalbergia clade: 17 genera; c. 706 species which are pantropical, but centred in Africa; Weberbauerella, Soemmeringia, Pictetia and Diphysa are neotropical, Machaerium transatlantic, Dalbergia and Aeschynomene are pantropical, and Geissaspis Asian. Isolated genera: 4 genera; 58 species, neotropical except Andira, which has one amphiatlantic species. 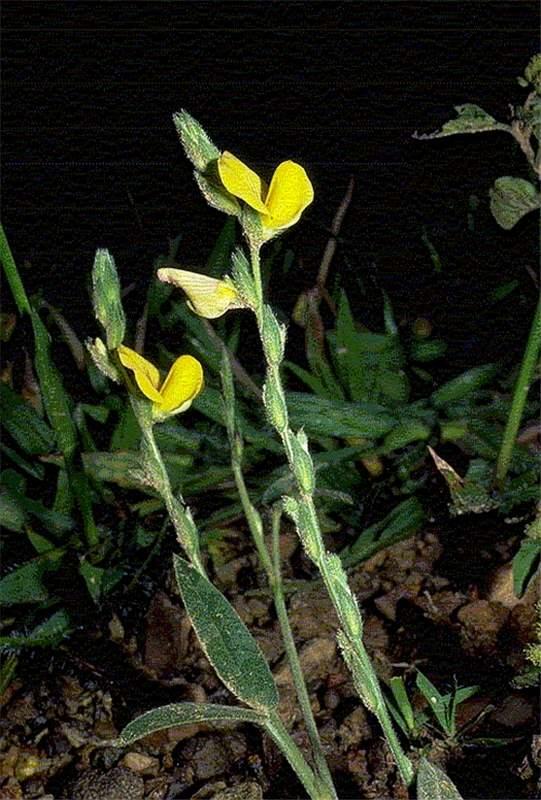 Legume flattened, segmented, the segments with or rarely without bristles. Zornia echinocarpa (Moric. ex Meisn.) Benth. 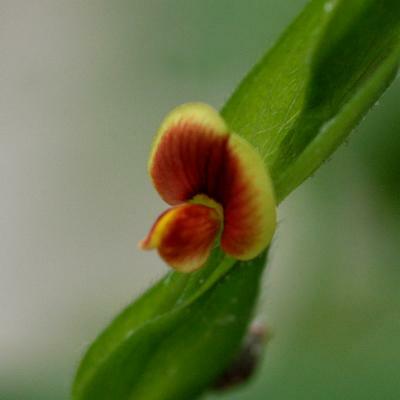 Zornia glochidiata Rchb. ex DC. Zornia laevis Schltdl. & Cham.